Ecommerce SEO services can help e-retailers gain an incredible edge on the market. Arguably the best form of marketing today is securing top search engine rankings for the product keywords that reflects your online store's inventory. In short, ecommerce SEO can provide one of the best marketing investments for ecommerce businesses. Unlike buying website banner ads or relying on affiliate sites to realize sales, ecommerce SEO services can help direct in-market traffic to your ecommerce site. And unlike traditional online advertising mediums, search engine visitors are actively seeking the products that you have to offer. Request a free, no obligation SEO audit of your ecommerce site. We will provide a manual review of your domain's content, keyword usage, authority metrics, health, and backlink profile. 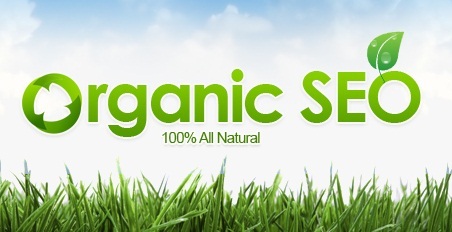 Here at Click Centric SEO, we can help you actualize the benefits of organic SEO for ecommerce sites. Start small or go all out. Whatever your ecommerce SEO budget, we can help you realize the power for organic search engine optimization. At ClickCentric SEO, we offer custom-tailored ecommerce SEO service programs that have been proven to increase the profitability of countless e-retailers. Although we build unique SEO campaigns for ecommerce sites, each of the following components is integral for ongoing success. On-page SEO for ecommerce deals with various website elements, such as the design, content, coding structure, and overall organization of the site. The emphasis of on-page ecommerce SEO services focuses on user navigation as well as how efficient search engine spiders can crawl and interpret a website's data. When it comes to establishing keyword relevancy for SEO, the content of your ecommerce site is what the search engines will value most after crawling and indexing your site. In addition to off-page SEO, on-page content can directly influence how well your ecommerce site ranks on specific keywords. Additionally, page copy also contributes to the overall user experience of your site by offering valuable descriptions and information about products and services. In any ecommerce SEO campaign, it is important to present information clearly, concisely, and with great attention to usability. The buttons, menus, forms, and overall on-page navigation must leave no ambiguity for the end user. From product reviews to video highlights, interactive media is also significant aspect to the web design and overall search engine optimization process. The back-end coding of a website is an often overlooked aspect in the ecommerce SEO process. Most scripts operating on ecommerce stores turn their product browsing into flash media or cumbersome coding structures are non-SEO friendly. Proper development of the website is critical for search engine optimization performance, and can better ensure your site ranks faster and higher than your competitors. The off-page components of ecommerce SEO focus on important factors that take place on other websites. In essence, off-page search engine optimization for ecommerce centers on building popularity, credibility, and trust amongst both the search engines and your target market. The more links pointing back to your website, particularly to its product pages, the greater authority your ecommerce site will have in search. Links are like votes, and the higher number of votes you have, the more deserving your webpages are of ranking highly in the search results. However, equally important to the number of links pointing to your site is the quality and relevancy of those links. That is, the source of the links should have something in common to offer maximum ecommerce SEO value. Producing videos, articles, press releases, and other forms of content about your products is a great way to spread awareness and attract relevant customers to your store. As the backbone to our ecommerce SEO services, content marketing is a source of traffic that streams interested individuals to your site. In addition to providing an inbound marketing channel, content marketing is also an ethical way to build quality links to your site. The combination of link building and content marketing offers a huge boost for ecommerce search engine optimization. Social media is the most touched upon (and ironically, the most misunderstood) forms of Internet marketing and ecommerce SEO these days. Unlike some ecommerce SEO companies that focus on attain more "likes", social media marketing for ecommerce SEO should focus on the entire brand. With an active social media presence over sites like Facebook, Twitter, and Google Plus, your ecommerce site can take advantage of a highly cost-efficient method to attract quality customers. Furthermore, social media marketing facilitates brand loyalty and spreads word of mouth in a viral manner. Why Choose ClickCentric SEO for Ecommerce SEO Services? Our ecommerce SEO company, ClickCentric SEO, offers many years of experience in providing ecommerce Internet marketing services. We focus our efforts in social media and email marketing, Pay Per Click advertising, and organic SEO services for ecommerce sites. As a full-service ecommerce SEO company, we also specialize in custom web design and development, conversion optimization, landing page design, copywriting, and other ecommerce SEO services. We design unique search engine optimization campaigns for our ecommerce clients and tailor affordable ecommerce SEO packages for all types of brands. Search engines like Google are one of the most used resources to pinpoint, learn more about, and buy products. Because ecommerce sites rely so heavily on reoccurring visitor traffic to generate sales, ecommerce SEO offers a highly-profitable solution to generate sustainable sales. By performing ecommerce SEO services, search engine users will be better able to find your online store when seeking the products that you offer. How Do You Perform Ecommerce SEO Services? There are several components to the ecommerce SEO packages that offer. Our team first takes the time to research your online brand, as well as its target customers, and create a cohesive ecommerce SEO strategy that suits your online objectives and budget restraints. 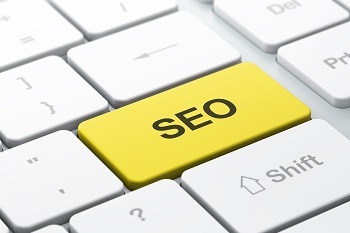 After we determine the keywords for the SEO strategy, we employ various on-page and off-page SEO services. On-page SEO is typically accomplished during the first few months of the program, while off-page SEO is an ongoing endeavor. Additionally, we also merge strategies of social media and conversion rate optimization (CRO) to improve the overall effectiveness of the campaign. When Can We Expect Top Keyword Rankings? Each ecommerce SEO service program is unique with respect to keyword targets, competition, and depth of campaign. Additionally, each ecommerce site has varying levels of authority, age, trust, and overall search engine value. For this reason, the timeline to realize top keyword rankings varies per SEO program. Although there are many unpredictable variables involved, often times our ecommerce SEO team can approximate rough estimates as when a site can see certain rankings. To learn more, you can apply for a free ecommerce SEO site audit to gain more insights. How We Get Started With an Ecommerce SEO Program? The best way to get started is contact us for a free SEO audit. This initial audit will help expose to strengths, weaknesses, and opportunities of your online store, all while helping to construct an honest SEO strategy. We can then collaborate on the specific direction you'd like to take with our ecommerce SEO services. We'll often provide many different options based on the goals and budget restraints of your company. In addition to providing top-notch ecommerce SEO services, many member of our company are authors of the profession. Below are some of the top ecommerce SEO articles produced by Click Centric SEO.